From today (Monday 2 July 2018) children across Scotland will again be participating in Children in Scotland’s award-winning food partnership programme, Food, Families, Futures (FFF). 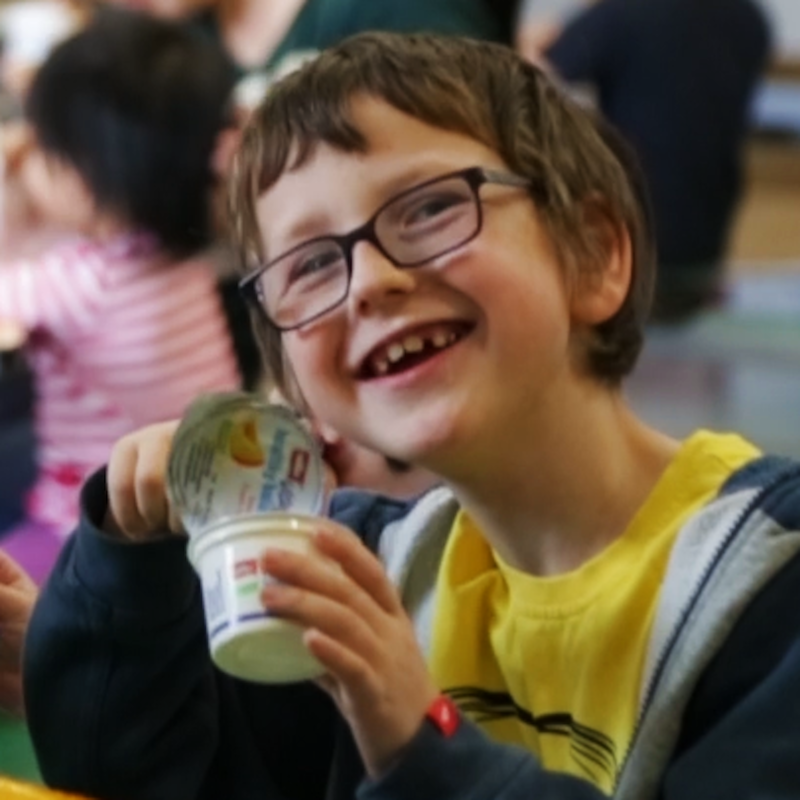 Now in its third year, FFF is run in partnership with food distribution company Brakes’ Meals & More programme, offering children and families the opportunity to enjoy meals and fun activities in schools over the summer holidays. Across the participating areas, there will be a total of 20,300 places available during July and August – a significant increase on the 4,000 places offered in the summer of 2017. The programme has expanded from two local authority areas in 2017 (Glasgow and West Dunbartonshire) to four and this year will cover schools in Glasgow, West Dunbartonshire, Perth and Kinross and East Lothian. “We are incredibly proud to see the expansion of the Food, Families, Futures partnership. We know the summer holidays can be a time of pressure for many families, but FFF highlights the strengths in our communities and our ability to collaborate, offer support and solve problems together. “With Children in Scotland, we’re delighted to be supporting the FFF clubs in their third year. The great work in Scotland represents our wider commitment to retaining and strengthening all our Meals & More partnerships across the UK. The Food, Families, Futures programme was launched by Children in Scotland in 2015, with the aim of contributing to tackling food poverty and its link to children’s health, wellbeing and education. Aware of the pressures on families, particularly those on low income and in areas experiencing high levels of child poverty, FFF turns schools into community hubs during the summer months. Parents are guided on how to prepare fresh, healthy meals under the direction of qualified community chefs, while children enjoy activities ranging from sport and play to arts and crafts. Families have the opportunity to cook and eat together as part of the experience. Sessions range from part-day to full day, with clubs running from between five and 25 days over the summer holiday period. East Lothian: Fa’side Lunch Club (Tranent), PSH Lunch Club (Prestonpans). More information on local partnerships and the sessions being delivered in each area is available on request. Partnership activities across the summer form part of Children in Scotland’s wider FFF programme of work. Food, Families, Futures was awarded the Third Sector Partnership Award at the Scottish Public Service Awards 2017 and the Herald Society’s Partnership Award. Food, Families, Futures is a partnership between Brakes’ Meals & More programme, Children in Scotland, local authorities and local organisations and community groups in participating authorities. Read more about Brakes’ Meals & More programme here. By bringing together a network of people working with and for children, alongside children and young people themselves, we offer a broad, balanced and independent voice. We create solutions, provide support and develop positive change across all areas affecting children in Scotland. We do this by listening, gathering evidence, and applying and sharing our learning, while always working to uphold children’s rights. Our range of knowledge and expertise means we can provide trusted support on issues as diverse as the people we work with and the varied lives of children and families in Scotland.